Congratulations! We’re at the last step of the process. The reason we’ve left the this step to the end is that it’s easier to create the reports you need when you have actual activity data in the system. So, you could potentially take a break after adding learners to the system, allowing them time to interact with the content. 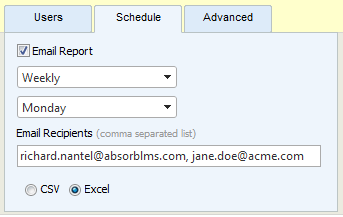 Then, you can create the reports that will allow you to evaluate the success of your learning initiatives. You don’t need to go through all the steps in this series in order. Some steps can be done simultaneously by different people on your team, as the image below illustrates. We regularly present the content from this series as a Webinar. Please see the list here.